"We recently employed Ben to take an interior photo of our campus in Queenstrown for a media release. I knew Ben was experienced in real estate photography, and i wanted a quality image that showed the outside view of the Remarkables, through the classroom windows. Ben didn't disappoint with the final shots, they were terrific, and the clarity of the mountains in the photo is so good we get asked if the photo is actually real. My boss was so pleased with the results he wants Ben back to photograph the rest of the campus, to ensure we're using top quality photos in all of our promotional material." "We have been using the services of Ben Arthur from Artistic Photography for the past 2 years or so both in Central Otago, Southern Lakes and in Dunedin to do our promotional and product photography. I have found Ben to be very professional and easy to deal with. The photo's we have hanging on our walls are testimony to his outstanding work. I would recommend Ben to any prospective client. "Capturing outstanding images of properties for sale and their surrounds at world-class Millbrook Resort is a critical part of the marketing initiatives we offer to our clients. When choosing a professional photographer to carry out this vital activity, we obtained several applications from various local professionals. Ben Arthur's professional, personable and thoughtful approach to our needs really stood out from the others and we engaged his services. Ben has undertaken many photographic assignments since his appointment and we are delighted with his work. Best of all are the very positive comments we receive from our clients not only about the quality of Ben's images but also his very personal and caring manner when on location which is very important to us. "The photo's you took of our conference rooms are perfect, they have added a fresh look to our rooms and you were a pleasure to work with." "We are part of the Best Western hotel group, the worlds largest hotel chain. 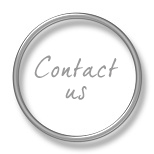 This organisation is extremely critical about the quality of websites for their properties. In respect of Artistic Photography our web sites has been fully approved and we have been congratulated on the quality of the photo's displayed on our web site. We have used Artistic photography since 2007 for all our photographic requirements and will certainly continue to do so. 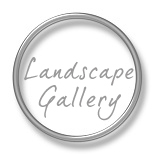 We have recommended Ben at Artistic Photography to several other properties within the region." 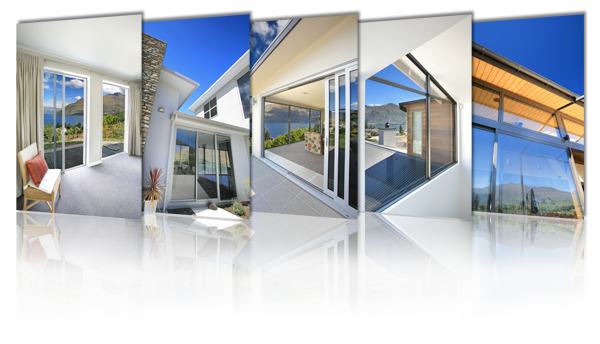 "I have been in real estate as a full time professional in Queenstown for over 20 years and in that time have dealt with lots of photographers. For the last 3 years, I have by choice, used only Ben Arthur for many different projects, proposals and property presentations. I really enjoy working with Ben because he listens carefully to clients brief and always exceeds expectations. He is responsible, punctual, works hard to meet deadlines and then delivers. It takes a special eye to know the best way to photographically frame and present a property. Ben's work is creative and without exception enhances the subject matter. He puts a lot of time and effort into the post photography production work always ensuring a perfect result. On bigger projects, where aerial photography is required, Ben is my photographer of choice and i always look forward to getting into the whirly bird with him on yet another mission. I highly recommend Ben for any property or outdoor photography." "We recently had family photographs taken with our little boy by Ben Arthur of Artistic Photography. The sitting was fun and full of energy with a 10 month old but we found Ben to be very patient and he understood the restrictions of dealing with one so young. He was professional through the whole experience and helped us with ideas of what we could do to get a more natural look to the finished product. I amso glad we took time to have professional photographs taken. We now have treasured memories of that time captured to frame or give to family. The images are amazing and we are so happy with the quality of the prints. I would highly recommend using Artistic Photography for valued family and baby portraits. "We were thrilled to discover Ben's images of the Southern region. Being a Southland based organisation we wanted some fresh images of Southland, something different beyond the usual cliched tourist photos that are constantly regurgitated for public consumption. Ben's stock photos of Southern landscapes were perfect for us, combining a new look for well know destinations in the region and highlighting the unique beauty of our province to customers in other parts of New Zealand as well as our overseas markets. We've also really enjoyed working with Ben, He's been most obliging and we look forward to working on projects with him in the future." Hi Ben Ivan and i wanted to thank you for the amazing photo's you took of our wedding. We appreciated your efforts to capture ourselves and family in candid, yet artistic manner. The spring colours were amazing at the Winehouse and we loved how this came through in our photo's. Thank you so much for all you care and attention and we cannot recommend you highly enough.